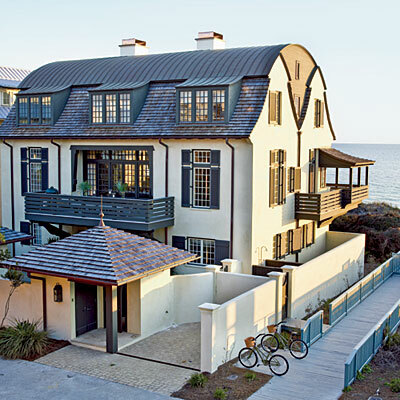 I can't stop looking at the gorgeous home in Rosemary Beach, FL. from the October issue of Coastal Living. 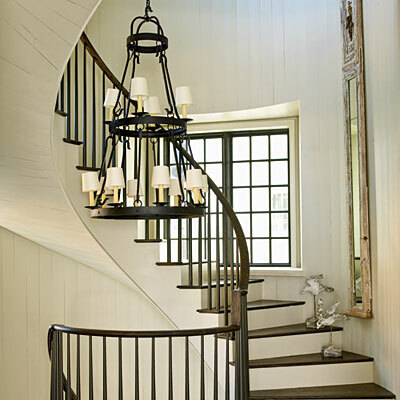 Instead of typical nautical stripes, bold colors and shells galore, designers Bobby McAlpine and Susan Ferrier, used muted shades, layered textures and distressed woods. This is my kind of beach house! I have to have that painting for my own home! How fabulous is that 12' dining table! Oh, and the view! Yes, Please! I'm sure I could whip up something delish in this kitchen! Check out the spectacular stair case! I know I'd sleep like a baby in this gorgeous master! And, I'd never tire of the view from the master either! And, at the end of the day, I'd take a long soak in the tub! Divine!